Ah the Sunday dinner with Family gathered around the table laughing and discussing the events of the week past. 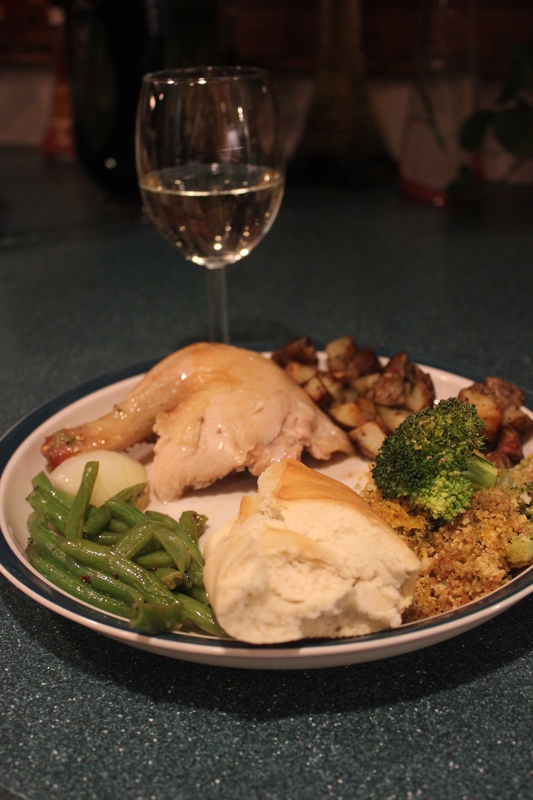 I so look forward to our Sunday dinners and being around my children now that two have grown. Every one of our dinners are around the table but Sunday is the day we get our children who are grown with families of their own to come home and be with us. According to a study released by The National Center on Addiction and Substance Abuse at Columbia University, the family dinner is linked to everything from better grades to teen use of alcohol. The study, called “The Importance of Family Dinners,” said that teens who report typically receiving grades of C’s or below in school are likelier to smoke, drink and use drugs compared to teens who typically receive all A’s or A’s and B’s in school. Compared to teens who have five to seven family dinners per week, those who have fewer than three family dinners per week are one and a half times likelier to report getting mostly C’s or lower grades in school. Be sure to remove everything from the cavity of the chicken rinse well before beginning. 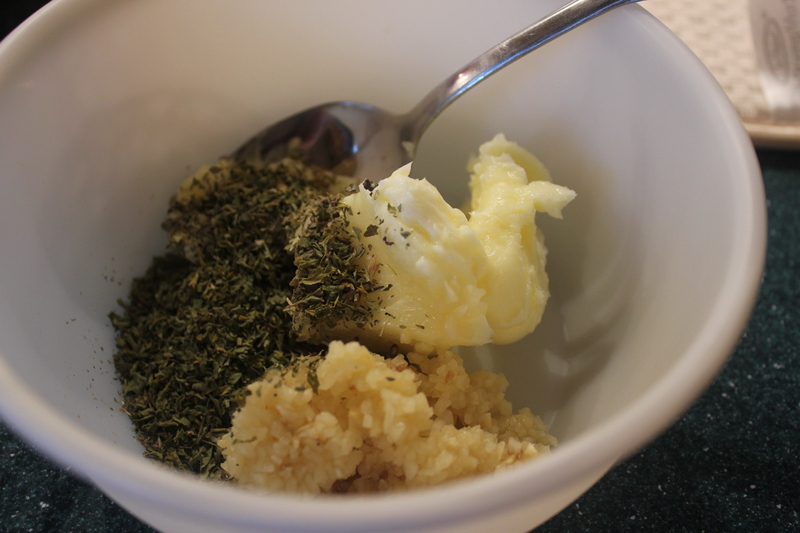 Preheat the oven to 350, combine the butter, sage, garlic salt, garlic, basil and rosemary (As I have stated you can use whatever herbs you would like) mix in a small bowl. Using your fingers work the compound under the skin of the chicken, you may have to loosen the skin from the meat by working your fingers under the skin and separating it. 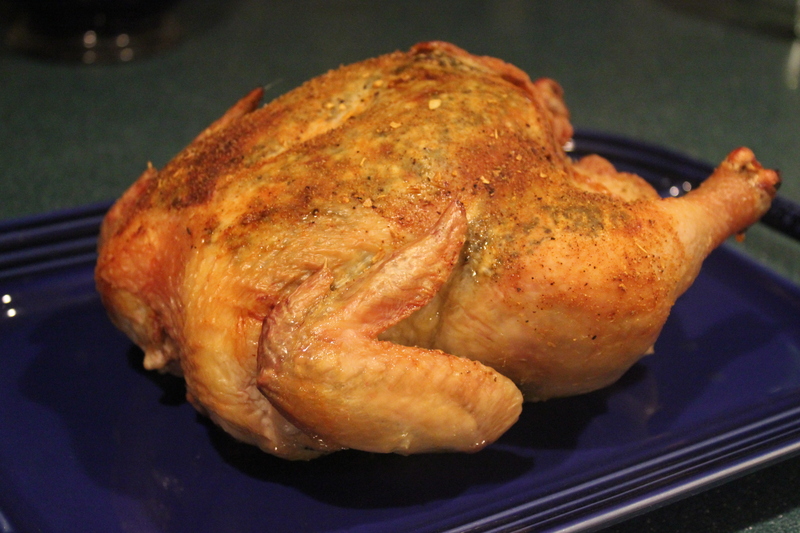 Place the chicken in a large baking dish with at least 2”sides. Insert as much of the onion and carrots as will fit into the cavity of the chicken, and close the skin around the opening. Bake uncovered for 1 hour and check to make sure the skin is not browning to fast (If it is toss a bit of tin foil over the chicken) Cook for an additional 15 20 minutes until the chicken reaches an internal temp of 165. I can tell by twisting the leg and if it is loose it is done. 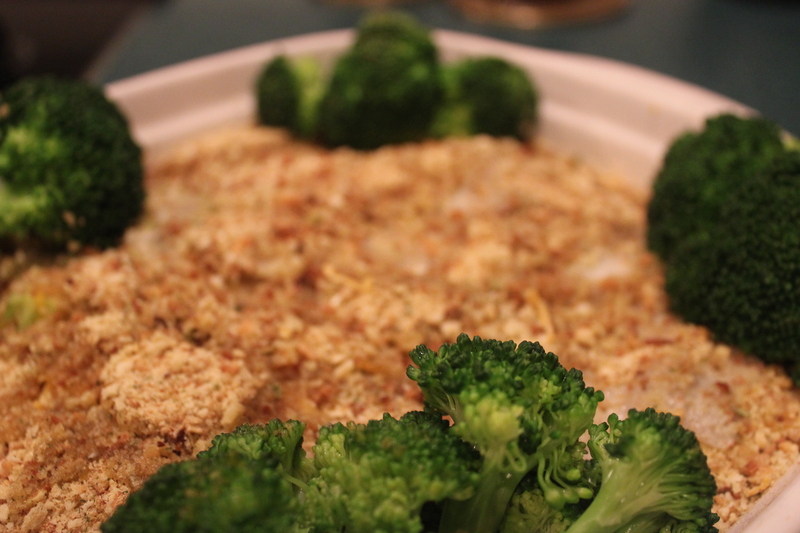 Steam the broccoli, put into a casserole dish and mix with 1/3 of the stuffing mix, and 2/3 of the cheese. Top the mixture with cheese and then the rest of the stuffing. Melt the butter and pour over the top and bake at 350 for 20 minutes. I added more butter; I like it really buttery and cheesy. The roasted potatoes can be found at this link and the beans on this one.